Over on the Facebook Laserdisc Forever! page, Jeff posted this find in a Value Village store in Ontario. I've been pretty lucky where charity shop finds are concerned, however this is the stuff of legend. I have literally dreamed of this kind of thing for years, and seeing this will almost certainly extend that for the rest of my days. To make it even better/worse, they were 99c a piece! 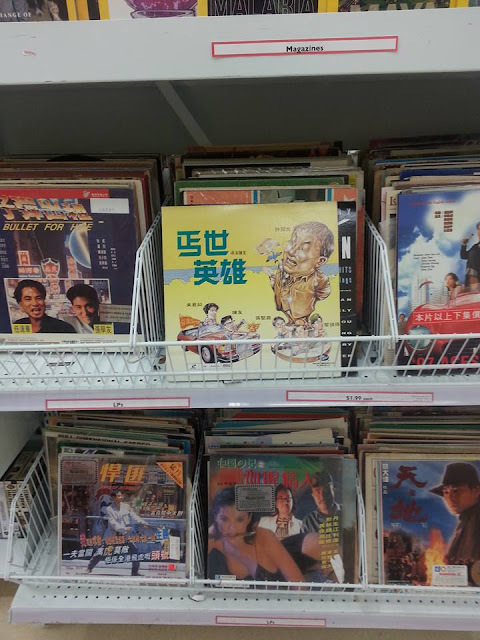 A series of HK movie synopses regurgitated verbatim from the dvd/vcd/laserdisc cover.